Obama has imposed sanctions on top Russian government officials, blacklisted several Russian IT companies and expelled 35 Russian diplomats stationed in the US, giving them only 72 hours to leave the country. Two Russian-owned facilities, in San Francisco and Maryland, are being shut down with less than 24 hours’ notice. “These actions are not the sum total of our response to Russia’s aggressive activities,” Obama declared. “We will continue to take a variety of actions at a time and place of our choosing, some of which will not be publicized.” This indicates that secret retaliatory measures, possibly including cyber-warfare actions to disrupt Russia’s economy, finances or infrastructure, are being taken. Is uncovering internal documents of the Democratic National Committee or the emails of Clinton campaign chairman John Podesta “interfering with or undermining election processes or institutions”? Evidently so, since that is the principal crime alleged against the Russian government. It is quite possible, however, that the documents were made public thanks to leaks by disgruntled DNC staff, perhaps angry about the content of the emails, which showed a deliberate effort by the DNC leadership to block the campaign of Vermont Senator Bernie Sanders and insure Clinton’s nomination. Would such leaks now be criminalized? What about making those documents widely available, as the WikiLeaks organization did? What about publishing excerpts or the full texts of those documents, as virtually the entire American media did? Where do “interfering with or undermining” end and freedom of speech and freedom of the press begin? Obama’s executive order makes no distinction. The corporate-controlled media, ever compliant with the dictates of the US military-intelligence apparatus, has made no challenge to the legality or constitutionality of Obama’s order. It has not criticized the refusal of the White House to provide a single fact to substantiate its claims of Russian hacking directed against the Democrats. Obama’s executive order takes the form of an amendment to a previous executive order, issued in April 2015, in response to alleged North Korean hacking of Sony Corporation offices in Los Angeles, after the company made a film whose plot revolved around a CIA assassination attempt against North Korean leader Kim Jong-un. With little publicity, Obama declared a “national emergency with respect to significant malicious cyber-enabled activities” on April 1, 2015. Under the terms of Executive Order 13694, the secretary of the treasury, in consultation with the attorney general and the secretary of state, may designate for economic sanctions, including freezing of all property and bank accounts in the United States, any person they designate as a target. Anyone “responsible for or complicit in, or… engaged in, directly or indirectly, cyber-enabled activities” directed or originating “from outside the United States,” whose purpose, in the judgment of these officials, would harm the US infrastructure, disrupt computer networks, cause misappropriation of funds or affect the US elections, is a potential target for US government retaliation. Given that virtually all human interaction in economically developed countries is “cyber-enabled,” and that the World Wide Web is by definition a global entity “outside the United States,” this language is a mandate for the exercise of essentially unlimited, arbitrary power. Obama’s statement is an exercise in circumlocution, aimed at disguising the fact that he is demanding that the American people and the world accept the premise of his executive order—extensive Russian hacking of the Democratic Party—on faith. The charges made by the US intelligence agencies, known worldwide for their brazen lies, fabrications, provocations and attacks on democratic rights, are to be received as gospel truth. Responding to demands that he provide actual evidence of the Russian hacking, Obama announced before he left Washington for his two-week holiday in Hawaii that the intelligence agencies would deliver a report to Congress and the public by the time he leaves office on January 20. But the punishment for the alleged crime, imposing sanctions and expelling diplomats, is announced three weeks earlier. If the US government were in possession of actual evidence of Russian hacking into the Democratic National Committee, it could present this to a grand jury, indict the perpetrators, and pursue them through Interpol and other global police agencies. Nothing of the kind is being proposed. 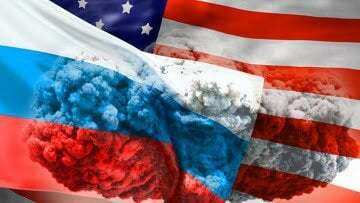 Instead, the presumption of Russian guilt is taken up by the entire corporate media in the United States to pummel public opinion with the necessity for unspecified retaliatory action against Moscow and prepare the political climate for direct military conflict with Russia, whether in the Middle East, Ukraine or Eastern Europe. Along with Obama’s statements and modified executive order, the FBI and the National Cybersecurity and Communications Integration Center released a joint document on Thursday that purported to give “technical details regarding the tools and infrastructure used by the Russian civilian and military intelligence service” to interfere in the election. The 13-page report, given the title “Grizzly Steppe,” consists of unsupported allegations that two groups of hackers, allegedly with ties to the Russian government, penetrated the email server of the Democratic National Committee. There follows a general list of precautions to be taken by cyber-security managers at businesses and organizations that could be taken from any security bulletin board on the Internet. There are no names, no dates, no locations, no actual facts about the alleged hacking, still less any evidence connecting the hackers to the Russian government. She noted that Obama had only three weeks left in the White House and appeared to be seeking to poison US-Russian relations to block any shift in policy by the incoming Trump administration. “History is unlikely to forgive its behavior according to the principle ‘after us the deluge,’” the Russian spokeswoman added.